Learning how to curl eyelashes is easy. But learning all the little tips and tricks that help you get the perfect curl every time? Well, that takes years of practice. But no one has time for that, especially when there are places to go, people to meet and lashes to flutter. So here are all the best lash hacks to get the perfect curl every time! 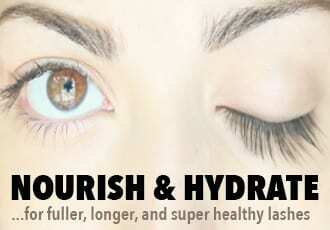 This is obvious to lash connoisseurs with access to the internet but it was years before I figured it out. For the longest time, I thought you pushed your lashes into the clamp and clamped and clamped until you got the perfect curl. But nooo, there are positions to explore. Get the positions right and you’ll get beautifully curled – never bent – lashes each and every time. 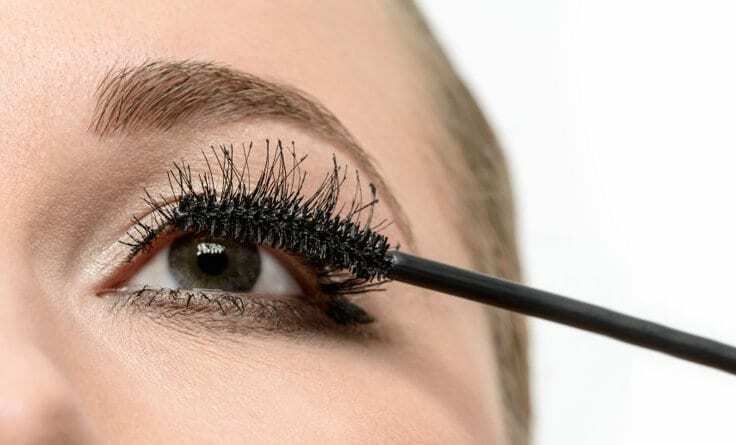 So, instead of curling as soon as you get your lashes in the clamp, do two to three spots: right at the base of your lash line and the middle of your lashes if you like the swept-upwards look. If you want a ‘C’ curl, add an extra press at the end of your lashes. You can experiment and go down the length of your lash line as well, just make sure to use gentle pulses and not squeeze too hard! You accomplish the perfect curl. You feel good about yourself. Then you apply a layer of mascara…and your lashes fall and straighten. 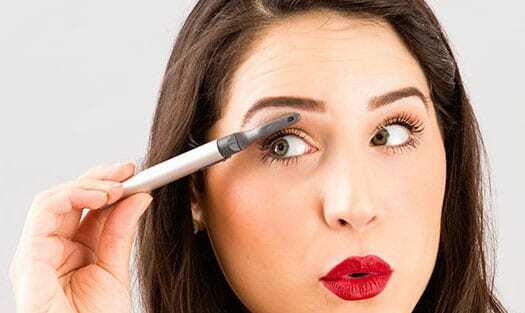 One easy tip to prevent mascara from ruining your perfect curl is to switch to waterproof. For some inexplicable reason, regular mascara weighs down already curled lashes but waterproof mascara keeps the curled! If you have long enough lashes and some degree of ambidextrous skill, you can use whatever mascara you want and still get your lashes to stay curled. Here’s how to do it: clamp the base of your eyelashes with the lash curler and keep it here while you apply your mascara. 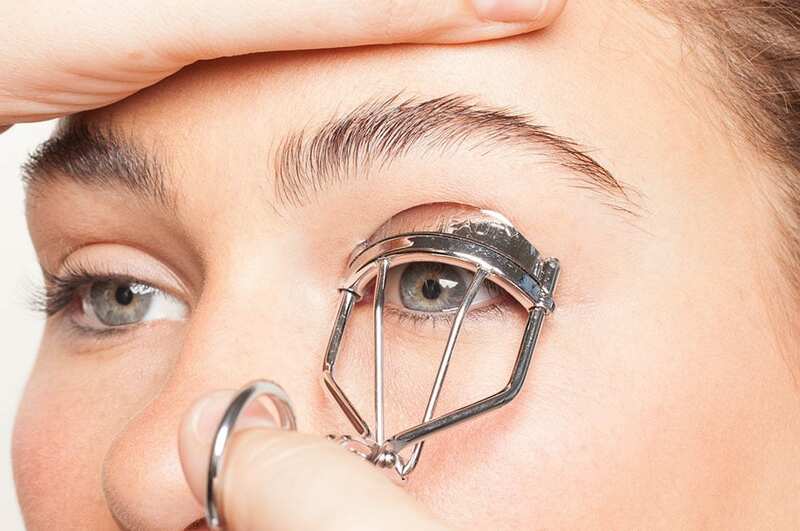 The clamper will keep your lashes lifted and help counteract the weight of the mascara. As helpful as waterproof mascara can be for keeping your curl – not everyone wants to wear waterproof mascara every day. Or attempt to do the curl-and-mascara jig before a cup of coffee. And you don’t have to, especially when you can just use a heated lash curler to keep your lashes perfectly curled after you apply mascara. Since these types of lash curlers use heat to gently warm up the mascara so you can get an extra lift and bend, you don’t have to worry about the mascara sticking to your lash curler and potentially pulling out lashes. Plus, the curve that you get with heated lash curler are lasting – they’ll stay all day, through sweat and humidity. Don’t want to fork over the money for a heated eyelash curler? Grab your metal curler and a blow dryer and get ready to get the curl of your dreams. 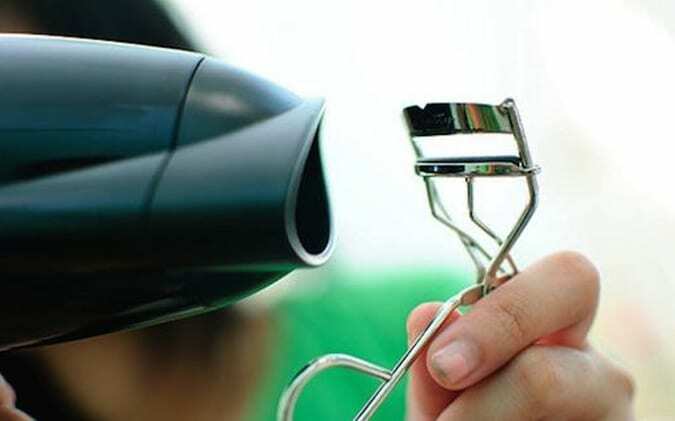 To transform your regular old curler into a heated one, simply heat it up with a blowdryer before you use it. The heat makes the lashes curl a lot better and holds the curls a lot longer. Be careful, though, as this method will heat it very quickly and can make it dangerously hot. Use a low heat setting and test the metal with the back of your hand before using it to make sure you don’t burn yourself! Love intense, curvy curls that sweep all the way to your eyebrows? 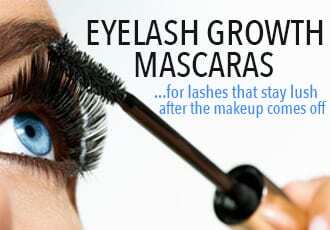 You can create them with just a regular old eyelash curler. To get the look, it’s all about angles. It goes like this: Clamp at the base of your lashes, holding the lash curler as you usually do, almost vertically. Release and as you move up to the middle of your lashes, turn the curler horizontally so it’s parallel to the group. Clamp and hold again. Finally, move the curler to the tips of your lashes for a final press – this time, with the lash curler almost upright. Can’t get an even curl? It happens, especially for those of us with more hard-to-reach lashes. Whether it’s because we have small eyes, deep-set eyes, round eyes – it can often be difficult to get all your lashes curled the same way. And this is where point curlers come in. These mini, pinch-less, precision curlers allow you to do what most lash curlers don’t – get into hard-to-reach areas so you can single out sections of your lash line for extra curling. You can even do your lower lashes with these. If you’ve got smaller, flatter eyes, go for a lash curler with a flatter curve. Too much of a curve makes it more likely your eyelid skin will get caught in the corners. Travel-size plastic lash curlers like Laura Mercier’s have less of a curve and are a lot less likely to pinch your lids than metal curlers. 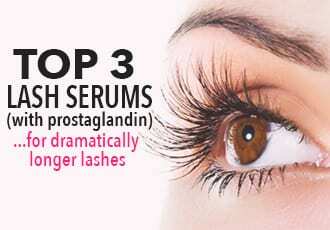 Other great ways to avoid eyelid pain? 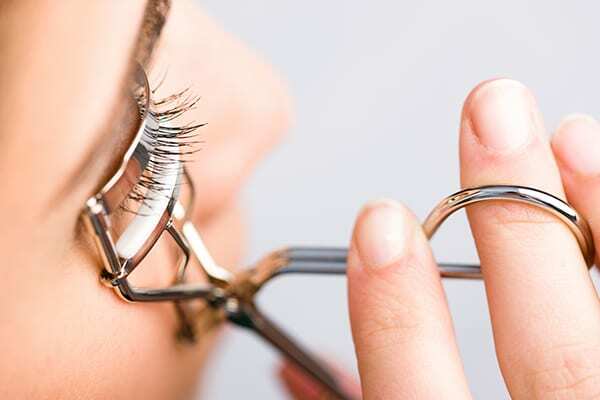 Opt for a plastic lash curler over a metal one since these tend to pinch much less. 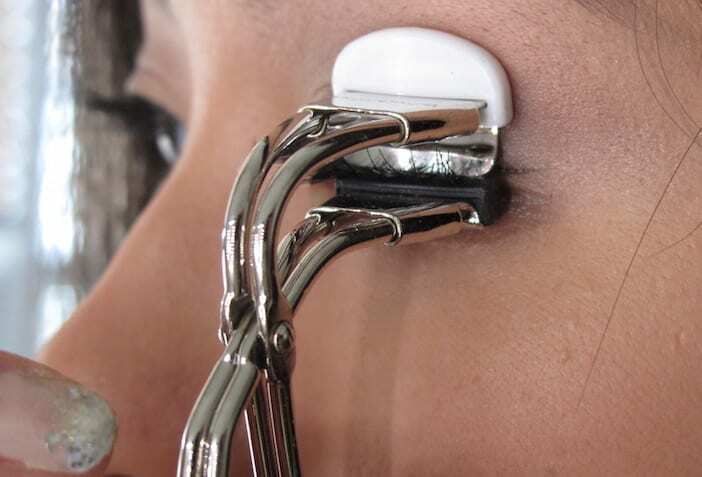 Or get a metal lash curler that’s designed to prevent pinching altogether – Suratt’s Relevée curler is designed so that the only part that touches the corners of your eyes is the silicone pad, with the scary “squeezy” part set beyond that so that there’s no way it can pinch your skin.